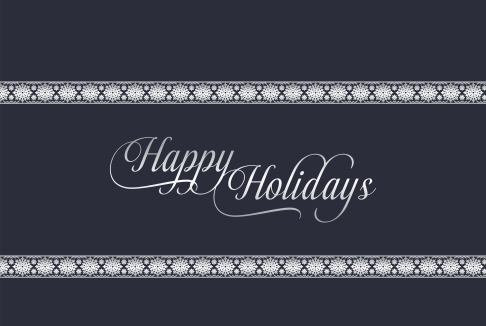 A classically designed Christmas greeting card that says Happy Holidays. This simple card with a dark background and silver lettering and design is what makes this holiday greeting card a favorite. This card was created by our in house artists at Attitude.